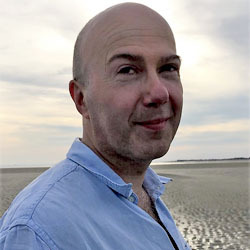 Roland Moore is a series creator and writer who has created work for TV markets around the world including UK, China, Croatia and New Zealand. He created the award-winning returning series Land Girls for BBC1 (UK) and a thirty-part comedy drama, Noodle, currently in production for China. He also co-wrote the feature film White Oak (for UK/China) that is currently filming in Beijing. Other work includes being head writer on The Witch of Grich, an international drama series for Fremantle. He was also a finalist at the MIPFormats International Pitch Event in April 2017 with his reality show I Sang It My Way. Roland has written for Doctors (BBC1), Doctor Who (Big Finish), Rastamouse (Cbeebies), Smack the Pony (C4), Peter Rabbit (Nickelodeon). He has a series of novels being published by Harper Collins starting in August 2017.